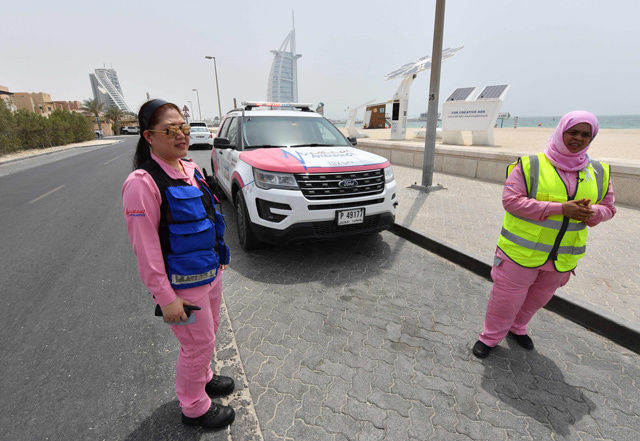 Four women in pink remain on standby 12 hours a day, seven days a week, to come to the aid of their "sisters" in Dubai. 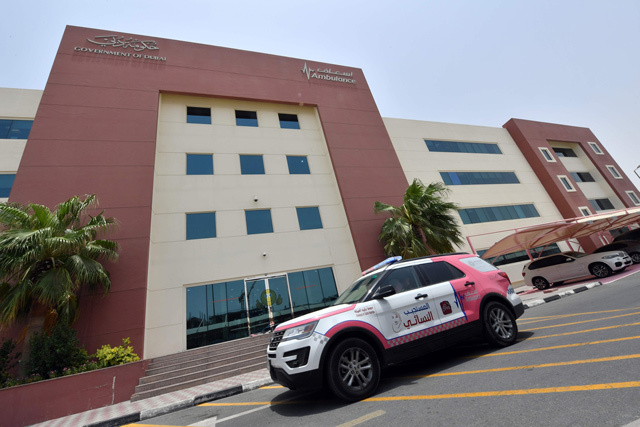 The four - two medics and two drivers - are leading a pilot project for a women-only pink ambulance service that aims to expedite medical care by helping patients feel more at ease. Staff specialise in obstetrics and gynaecology and pediatrics, and they refer to each other - and their patients - "sisters". The service is still available, and popular, across Dubai. For now, the pilot project targets Deira, the next step is to expand to Bur Dubai. "We're all used to it. 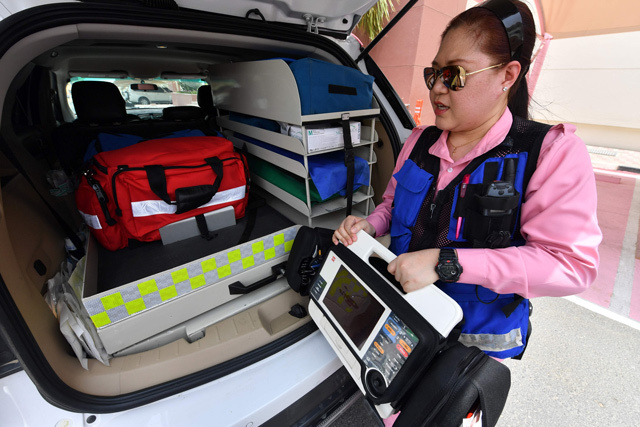 Not just as first responders - as Emiratis," Rimm chuckled. "Keep hydrated."